Patrick Jane Solves His Final Case! 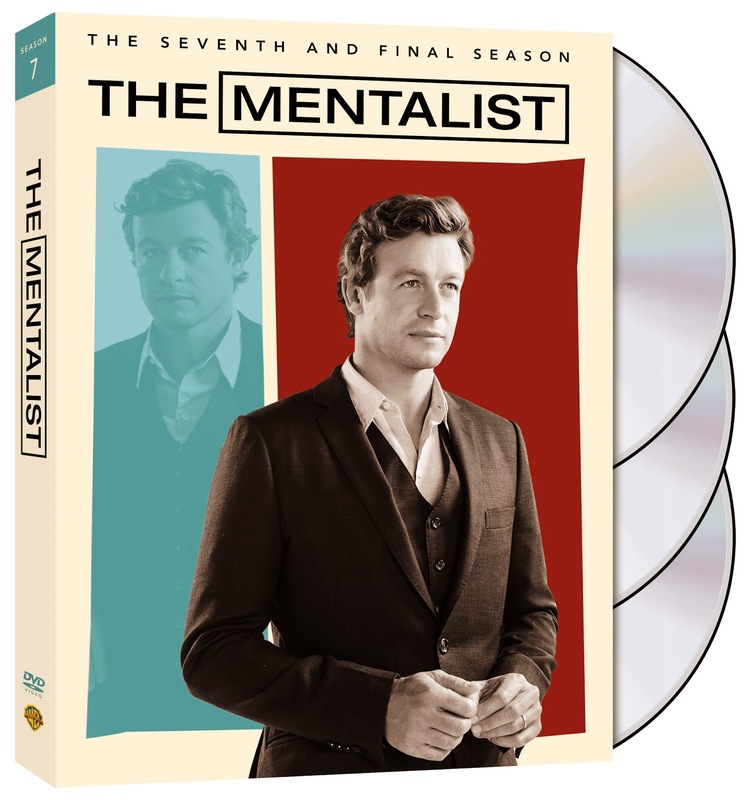 Emmy® and Golden Globe nominee Simon Baker is back for the seventh and final season of the clever crime series The Mentalist, which will be released on DVD April 28, from Warner Bros. Home Entertainment Group. The DVD release includes all 13 one-hour episodes from the seventh season, plus an all-new never-before-seen featurette. The FBI’s masterfully manipulative criminal consultant Patrick Jane is back at it again. Formerly employed by the California Bureau of Investigation (CBI), Jane spent two years off the grid and in exile after tracking down and exacting vengeance upon Red John, the serial killer who murdered Jane’s wife and daughter. After crafting a deal to work for the FBI, Jane convinced former CBI agent Teresa Lisbon to join him. Supervised by the no-nonsense Agent Dennis Abbott, Jane and Lisbon work alongside their former CBI comrade Kimball Cho, FBI analyst Jason Wylie and the young, ambitious agent Michelle Vega. Now that Lisbon and Jane have confessed their love for one another, they must find a way to be partners in both their professional and personal lives as they begin their new relationship. Also starring Robin Tunney (Prison Break), Tim Kang (The Forgotten), Rockmond Dunbar (Sons of Anarchy), Joe Adler (Shameless) and Josie Loren (Make It or Break It), The Mentalist was created by Bruno Heller (Gotham), who executive produces along with Chris Long (Criminal Minds) and Tom Szentgyorgyi (Lie to Me). The series is produced by Warner Bros. Television. Patrick Jane: An Uncommon Man - In homage to the beloved series, Patrick Jane's journey of redemption, from revenge to romance, is chronicled by the extraordinary people and circumstances that caused two diametrically opposite personalities – a Carnie and a Cop -- to fall in love.